Yara Shahidi has been on her style-ish and earlier today(November 15th) her stylist Jason Bolden posted her latest look via his instagram. 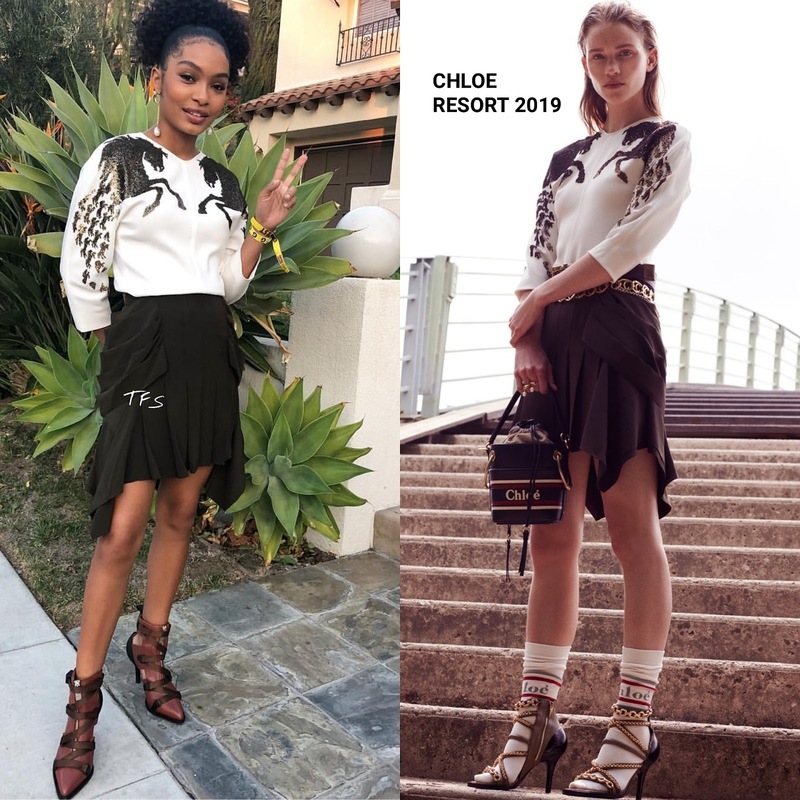 She posed for the gram in head to toe CHLOE, which featured a RESORT 2019 white sequin horse top and a black draped pleated mini skirt and FALL 2018 heels. In the look book, the skirt was adorned with a gold chain belt which she left out and did not need. Beauty wise, she kept it simple with minimal makeup and a curly ponytail which topped off her look along with gold, pearl drop earrings. While I don't like the look of the draping on the skirt, Yara pulls the look off. What so you think of Yara's instagram style?